Get the versatility of both black and white AND color in an offshore rugged underwater video camera. The SeaMaster 600 automatically gives you an optimal picture in all water conditions. 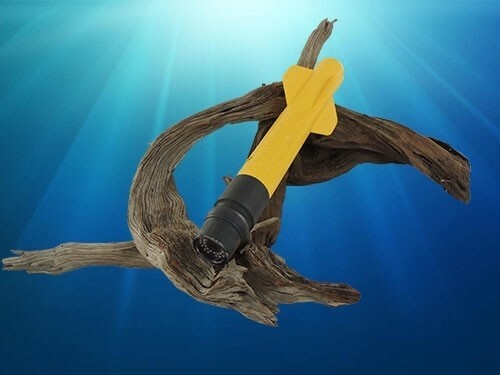 Viewing and recording is easy with this underwater video camera. Use any existing monitor, TV, camcorder or VCR that you already have. Simply plug the RCA cable into Video Input. For hours of entertainment, tie a chum bag in the camera's view and actually see the fish without getting wet. See what you've been missing underwater with SeaView. Thousands of satisfied owners tell us they use the trollable model and it is the most versatile for everything they need to see underwater... from running gear and hull inspections... to checking anchor set... exploring wrecks... or trolling ahead of the bait to capture the magic of the strike.